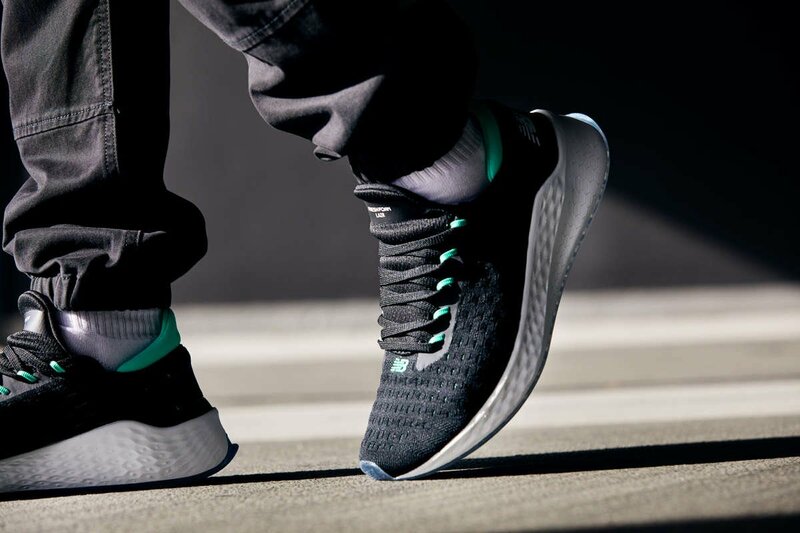 Say hello to the New Balance Fresh Foam Lazr v2 Hypoknit in Black & Neon Emerald — NB’s latest foray into the wonderful world of running sneakers. We're certain that Phife Dawg (RIP) would be sporting these to avoid that narrow path. Lets be real, Phife was never a half stepper and the same goes for the New Balance Fresh Foam Lazr v2 Hypoknit. Initially designed to meet the demands of Runners, they asked for one shoe that could do it all: offer more cushion from the impact of each stride, give them the energy return needed to stay fresh late in a run, feel light underfoot and also be able to withstand wear and tear of impact and elements run after run, and lets not forget looking fresh whilst crushing those timing boards. 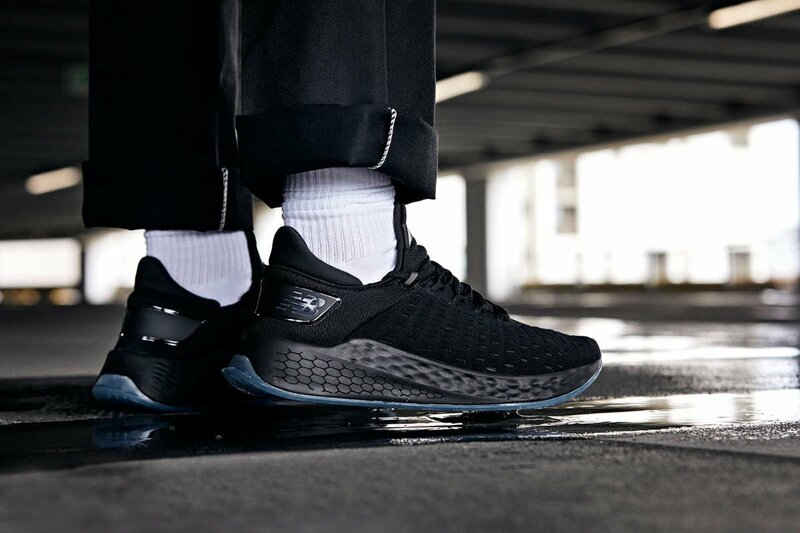 The New Balance innovators, chemists, engineers and designers came together to deliver a solution in the form of a foam, called Fresh Foam Lazr v2…Clearly, a top performer when called upon, but we think this looks incredible as a lifestyle piece. Something to wear on the regular for sure! 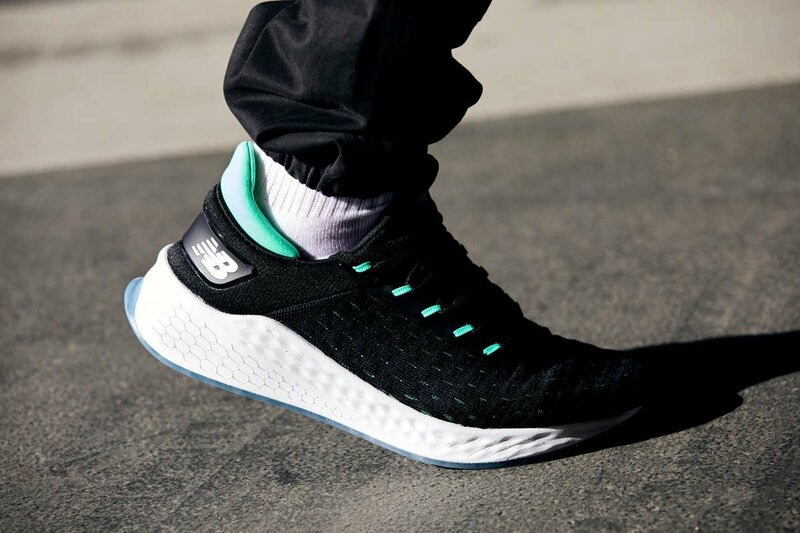 The fresh foam midsole is slightly firmer that UltraBOOST, and comparable to the Nike Epic React of whom we would say is a direct competitor. The usual New Balance 6mm drop hits a nice sweet spot between offering the wearer some protection when running and features a healthy 4mm rubberised outsole for traction and durability for all walks of life. The laser engraving on the midsole heel section adds a welcome element of texture and really enhances the appeal of this fresh lifestyle icon from New Balance. The shoes upper is simple. The forefoot, toe and arch are very sculpted thanks to the one-piece New Balance bootie that was precision-engineered for support, flexibility and breathability in the spots where you need it. It’s minimal and close to the foot but still supportive. The two-way stretch is really satisfying when you pull them on, and much flexible than an Air Max 270 for example. Whether you looking for your next runner or something that gives you that point of difference the New Balance Fresh Foam Lazr v2 is more than capable of fulfilling your brief. In our minds, the NB Lazr really represents a new sneaker niche that provides multiple competencies. It can help you perform like an athlete, and guide you to contemporary street style dominance! As with any top tier release distribution is tight and you won't see this model in any of high street lifestyle chain stores.